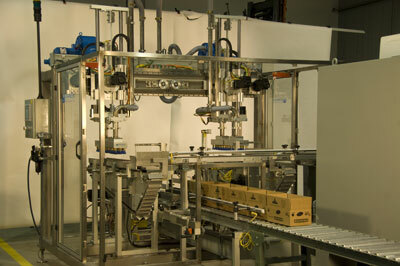 Top load, pick-and-place case packing is the most effective and flexible style of case packing automation. Kraken Automation’s innovative technology, top load pick-and-place machines deliver effective, easy-to-operate, virtually maintenance-free top load packers that can withstand the demands of any production environment. Fully customizable, our pick-and-place machines can be engineered to suit your specific top load case packing requirements.